Surrogacy has a long history, one that can be traced back to Biblical times, and it has come a long way since then. Surrogate parenting in California has been a thing too. Most people tend to think that surrogacy is a new idea, but it is not something that is all that new. However, it doesn’t look anything like it did in biblical times. It looks almost completely different and there are many resources, from surrogateparenting.com to message boards. When you track the history of surrogacy programs, it is easy to see the changes that have come along and the political and social movements that they were a result of, and you might find yourself feeling glad that you are looking for a surrogate in today’s world. Mentions of surrogacy are all throughout the text of different books from this time, including in “The Book of Genesis” in the Bible. The first mention comes in the story of Sarah and Abraham and their quest to have a child. They were married and trying to make a family, but were unable to, so they had to find another way to be parents. They used their servant, Hagar, to conceive a child, resulting in a traditional surrogacy where the surrogate’s egg is used with the father’s sperm. While Sarah has no biological ties to the child, it was raised as their own. This is the most traditional form of surrogacy and it lasts for a long time beyond this period – in fact, the most significant changes didn’t really happen until 30 years ago. Traditional surrogacies were the only ways that intended parents could employ a surrogate. Even worse, they weren’t talked about too often because people considered them to be a failure on the mother’s part, and was considered shameful for them and the marriage as a whole. Thankfully, we’ve moved on from that mindset. In 1884, everything changed for surrogacy and for couples who want to be a family. This was the year when a woman was artificially inseminated for the first time successfully. While there are some questions about whether or not it was exactly ethical, it is still considered one of the major stepping stones of surrogacy. It took a long time for another major transformation to the surrogacy process. In 1975, the first ethical transfer of IVF embryos took place. There were years of attempts and clinical trials that didn’t work, so this was (and still is) considered one of the greatest feats for modern medicine. It wouldn’t be until 1978 that the first baby conceived using IVF transfer was born. Right after the first successful transfer, lawmakers and lawyers got to work on creating laws and agreements around surrogacy. In 1976, the first legal agreement was brokered by a lawyer named Noel Keane. While some of the details surrounding this case are still fuzzy, we do know that it was a traditional surrogacy and that the surrogate was not paid. Keane, who worked at an Infertility Center, saw many families come and go – this law would set a precedent for all surrogacy cases going into the future. Elizabeth Keane received the first payment for being a surrogate in 1980. She received $10,000 to carry the baby, though she would later come to regret it. She wrote a book where she detailed the creation of her own family, including a child she placed up for adoption, and the surrogacy. She said that she was not prepared for the emotional toll birthing a baby for someone else would bring. 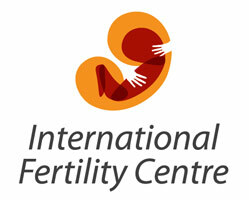 It is during this time that people started looking into the psychology of surrogacy. One of the most famous times for surrogacy falls between 1984 and 1986. “Baby M” was a baby conceived using traditional surrogacy. Bill Stern and Betsy Stern hired Mary Beth Whitehead as a surrogate, paying her $10,000. Whitehead’s eggs and Bill Stern’s sperm were conjoined using artificial insemination, so she was the biological mother of the baby. When it was time for the baby to go home, Whitehead refused to sign over her legal rights and took the baby with her. From there, a long custody battle took place, with Bill Stern eventually taking primary custody of the baby, thought Whitehead did get visitation rights. While this case was difficult, it was also the sign that something needed to change within surrogacy, so it is the major event that shifted away from using the biological mother as a surrogate and instead using gestation surrogates only. Every year, more and more children are born via surrogacy in the US. Surrogacy has come a long way and it continues to change and meld to fit the needs of growing families.